hi! I'm theallcraftblog's little sister and recently i have been to her house. we got bored of watching films so we decided to do something creative. 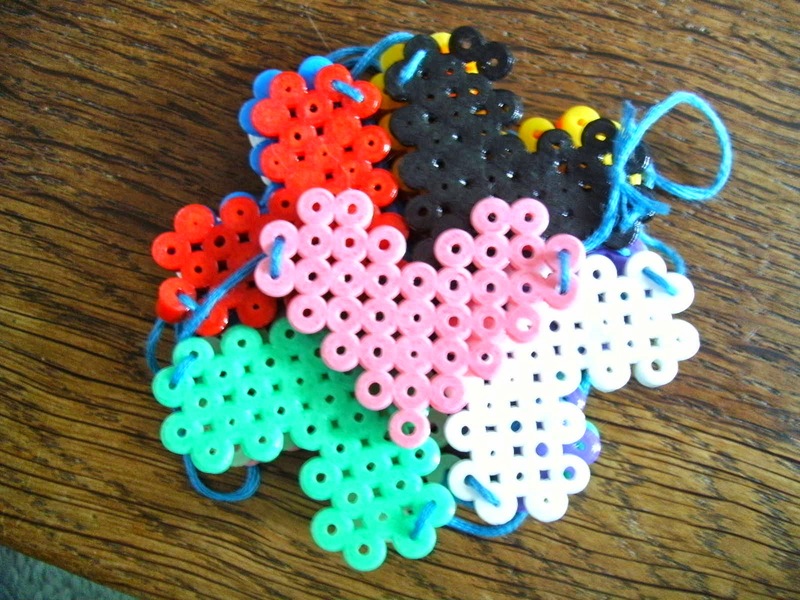 in the end we decided to make some hama bead stuff. 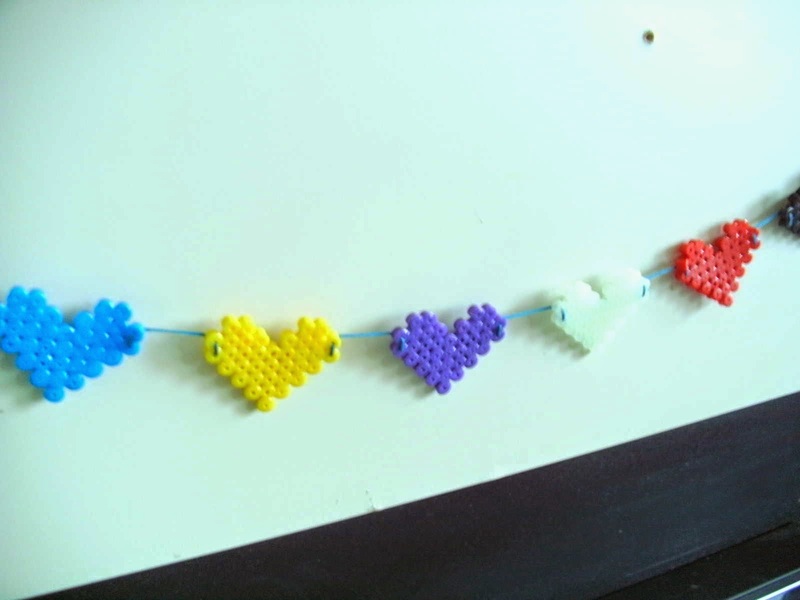 we made loads of hearts and decided to make some cute little bunting out of them by sewing them together. We also made some coasters. they will probably come in a later post. Who knows?